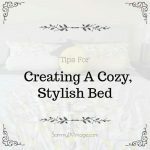 While knowing how to thrift store shop doesn’t come naturally to everyone, that doesn’t mean you can’t learn thrift shopping tips to consistently score stylish steals and deals at your local thrift store. Although I have 10 years of thrift shopping experience to fall back on, I honestly believe that anyone interested in learning how to thrift can pick up the tricks fast and be a thrift pro in no time. So to help lessen your learning curve and expediate your status from thrift shopping novice to pro thrifter, I’ve condensed my secrets into one video and 34 unique tips right here. 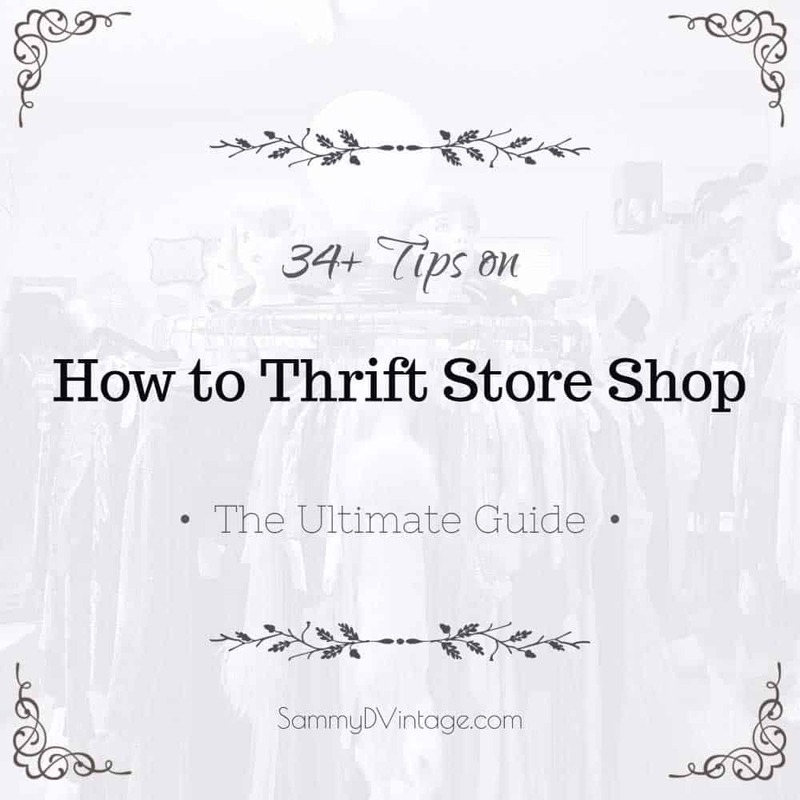 I hope you are able to find these thrift shopping tips helpful for your next thrift store shopping adventure! 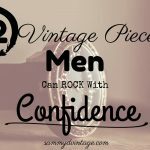 Have a question or comment on how to score more vintage fashion? Say hi to me on Facebook, Twitter, Instagram or by sending me an email! Follow me as I thrift my local Goodwill store while I share my tips on thrift store shopping for beginners! So that you’re a productive and time efficient thrifter, it’s important you perform pre-thrifting research to know where to travel, what to thrift and how to use a few helpful tech tools to make your shopping experience a successful one. TIP #1: Map – I use the Thrift Shopper Store Directory, Goodwill and Salvation Army websites to create my a wish-list of stores. Then I plug each store’s address in Google Maps to determine my best route for the least amount of travel time. #2: Closet – Before thrifting, I examine my closet to note what pieces I haven’t worn yet that season. I’ll take photos of some on my iPhone so that when I’m thrifting, I’ll be inspired to pick up a particular item to match the unworn piece — and finally wear it! 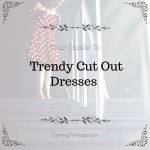 #3: Trends – I browse the sites of mainstream brands like Forever 21, H&M and Zara to see what these fast fashion chains are selling to give me an idea of the top trends to look for when I’m in the thrift store. 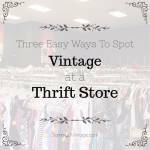 #4: Mobile Apps – I use the Etsy app to search for the average prices of vintage brands I spy while thrifting and the Thrift Buddy app to see what thrift stores are near me that I may have missed in my research. Pre-preparing for your thrift shopping experience guarantees that you’ll have everything you need for hours spent combing the racks, including food, water, amenities, tunes and equipment. TIP #5: Pack – Pack a goodie bag of necessary rations and emergency supplies like tissues, hand sanitizer and stain remover (to test spots) as well as snack (I love Clif bars and trail mix), water and a sports drink. #6: Set Limits – Before even stepping foot in a thrift store, I decide how much money I’m willing to spend that day. My limit is typically $20 per store, so if I’m visiting 3 separate stores then I shouldn’t be spending more than $60 total. #7: Music – I make a thrift mix to help keep me energized and upbeat! A good jam really sets the thrift mood (I’ve definitely danced own the aisles) and makes thrifting more fun! #8: Shopping Bag – I bring an eco-friendly collapsible grocery bag to use in place of a cart, which can be too large to push through the aisles comfortably on a busy shopping day. By sticking to a thrift shopping strategy, you’ll not only buy the things you truly want, but you won’t waste time shopping in a way that doesn’t fulfill your goals. Plus, a good thrift strategy will actually help you to spend more wisely. TIP #9: Donate – Before you take a thrift shopping trip, review your closet’s inventory and filter out items you no longer wear for donation to the store. Not only is it good thrift karma to donate immediately upon arrival, but cleaning out your closet will inspire mental notes of what you truly (and don’t truly!) need to thrift for. #10: Pick Sections – Narrow your shopping to three sections or less to stay focused on your day’s goals and to manage time spent in any one store since a section should take you approximately 20 minutes to shop. #11: Try on – Wear the equivalent of a “catsuit” while thrifting so that you can try on clothing in the aisle without having to wait in line for a fitting room. I love wearing a full body unitard from American Apparel when I thrift! #12: Separate Piles – Always take a “time out” from thrifting to evaluate your goods based on initial gut reactions (yes, no, maybe). Put all of your “nos” back on the rack and decide which “maybes” are truly keepers! #13: Discipline – To whittle down your purchases before hitting the cash register, ask yourself a few key questions to decide whether you’re making the best buying decisions for you: “Do I own a similar pieces already?”, “Can I wear this immediately, or do I need to wait for a special event?” and “Is this something I’d actually wear or just wish I could wear?” Remember, honesty is the best policy — especially to your wallet! I’ve suffered many a thrift store catastrophe that could have been prevented with close inspection of my piece before purchase. That’s why you should always closely examine your thrifted pieces before taking them home to prevent every thrifter’s worst nightmare: A thrift fail! TIP #14: All Angles – Give the surface level of each garment a serious eyeball for stains, tears, snags, pill balls, signs of damage or over-wear and to ensure the surface appliques are intact. #15: Inside/Out – Turn your piece inside out to examine its interior for lining tears or stains, loose threading along the hem, missing tags and other hard-to-see issues. #16: Hardware – Inspect all pieces of hardware on a piece before purchase, including zippers, buttons, hook & eyes, snaps and anything else that could potentially need replacing. #17: Cleanliness – Is your piece clean? Check pockets for tissues, dirt and grime. Whiff thrifted shoes and handknit pieces that tend to reek of musty odors. If the garment smells old or has any sort of smell, pass on it! It’s not worth taking the chance, even if you do have a bottle of Febreze at home. By sharing your thrift store experiences and savvy scores, you’re inspiring others to shop like a thrift pro and in the process, gaining fresh thrifting insights from them, too. TIP #18: Real Time – Inspire others with your stylish scores by using your personal Facebook page, Twitter or Instagram account to share photos of what you found. Share either 1.) a photo of a find on the hanger or 2.) a photo of a find you’re wearing in the fitting room itself or 3.) a “tease” shot of the piece’s print or other interesting aspect. #19: Styled Outfit – Use your reflection in a full length mirror to snap a full body shot of your thrift find styled into a full outfit, or have a friend get a great shot of you rockin’ it outside in natural light or at a special event worth remembering. #20: Video – If you want to sell your thrifted pieces, start a YouTube channel where you can upload videos talking about your thrifted pieces available for sale. #21: Gifts- Rather than let great finds collect dust in your closet, give them away as thrift gifts! 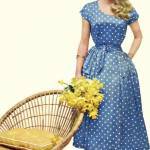 I love thrifting just to shop something special for a dear friend or family member in my life. It’s thrift karma! No matter your experience level, you can spot vintage clothing at a thrift store thanks to union tags, brand labels and Made in U.S.A. labels. Follow these tips for the confidence to determine whether a foreign looking label is that of a vintage clothing garment. #23: Brand Labels – If the design of a brand’s tag feels foreign to you, check to see if its listed in the Vintage Fashion Guild’s Label Resource. Shopping thrift stores shouldn’t be scary, but even the savviest of thrift shoppers could unknowingly purchase unsafe and potentially dangerous items at thrift stores. Here’s 10 things you should never buy used. TIP #25: Helmet – Don’t buy a helmet because once it receives impact, its ability to protect the head from future collision decreases and you just don’t know how much wear and tear it’s already endured in a prior life. #26: Mattress – Don’t buy mattresses because they are the number one homes to bed bugs, who like the dark crevices of your mattress for hiding and laying their eggs. #27: Makeup – Don’t buy makeup because expiration and best-used-by dates aren’t legally required on the bottles, so you’ll never know how old that makeup is! #28: Child’s Safety – Don’t buy children’s cribs, strollers, swings and car seats because they are carefully regulated to meet the highest safety criteria of the moment, so it’s better to buy the newest model than an out-of-date version found at a thrift store. #29: Stuffed Animals – Don’t buy stuffed animals because they are made with materials to resemble human and animal hair which are susceptible to carrying lice from the thrift store and into your home. #30: Appliances – Don’t buy blenders or any other electrical appliance (toasters, juicers, etc.) that’s been used to “make” food and was most likely not cleaned prior to donation and might not work once plugged into your kitchen’s outlet. #31: Underwear – Don’t buy underwear … unless you really don’t mind. My personal tip is to buy it new (and cheap!) at a store like Target versus used and secondhand at a thrift store. #32: Baby Seat – Don’t buy a baby seat or carrier because they are supposed to be replaced every 6 years from date of manufacture, therefore you could accidentally purchase a car seat past its expiration date at a thrift store. #33: Running Shoes – Don’t buy running shoes because for safety and health reasons, you should be properly fitted for the right pair. Plus, it’s not recommended you wear running shoes after 500 miles of training. Who knows how many miles are already on a pair at the thrift store? #34: Halogen Lamps – Don’t buy halogen lamps because older versions lack the protective glass/wire frames over their bulbs to prevent the lamp’s extreme heat from affecting flammable objects, like curtains. You don’t want your home going up in flames! 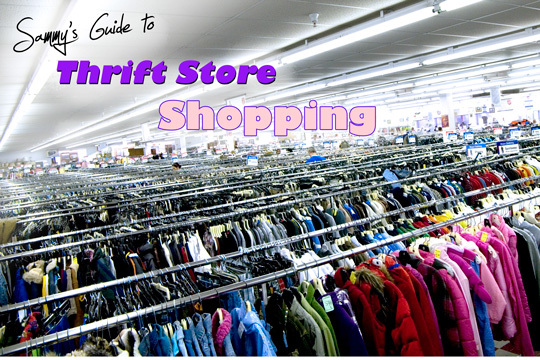 An E-book on Where to Thrift Store Shop in NYC by Fashion Steele NYC!